COUNTY FAIR MALL — VISIT US IN NEW MINAS! Since 1974, County Fair Mall has been the Annapolis Valley’s shopping destination. 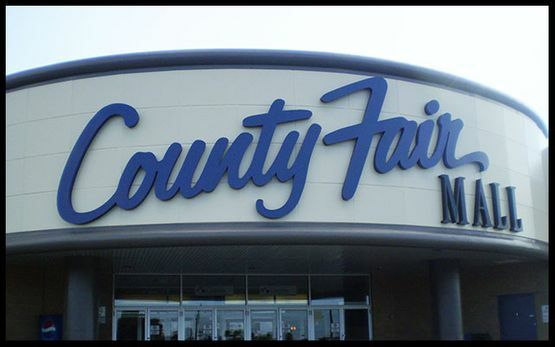 With over 55 shops, including restaurants, retailers, food, fashion, and footwear, there’s something for everyone at County Fair Mall! In addition to anchor stores such as NSLC, Canadian Tire and Sobeys, we’re also home to a number of specialty shops to help you find the perfect gift for that special someone. County Fair Mall has 1,240 free parking spaces, ensuring there’s always a spot open for you. We are closed all statutory holidays. Visit our Hours page to view holiday hours. County Fair Mall is located in New Minas, Nova Scotia. For the fun and variety, get directions to County Fair Mall, today!